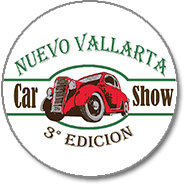 If you love cars, you can’t miss the Nuevo Vallarta Car Show taking place in the Riviera Nayarit, an event organized by the Wolfs Bugs Nuevo Vallarta club where over 300 exhibition-ready cars and motorcycles will be on display. 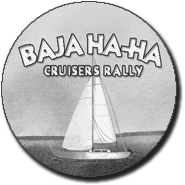 In order to celebrate their patron saint, local citizens head out on a maritime pilgrimage on their gaily-festooned boats from La Cruz de Huanacaxtle to Bucerías. This is one of the most deeply rooted traditions of this coastal village in the Riviera Nayarit. 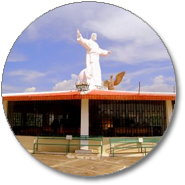 There is a full program for the week, including religious services as well as sports, artistic, and cultural activities. San Blas is undoubtedly one of the top migratory and endemic bird watching areas on the continent. 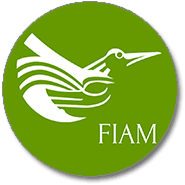 Several artistic and cultural activities revolving around the birds will be held during the festival, as well as tours along the traditional bird watching routes. The Festival is ready to party with the tagline “Movies, Music, Drink and Life.” And there will be plenty of that for visitors: movies and short-length films projected on huge screens on the beach, food and drink, physical activities and a fantastic concert headlined by a surprising band. 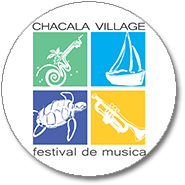 This festival has been celebrated every Saturday of the month for the past 11 years, offering a varied mix of performing arts on the main plaza. 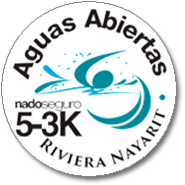 Serial of four swimming events in open waters, celebrated throughout the year in different beaches of Puerto Vallarta and Riviera Nayarit, with national competitors. This Catholic celebration includes pilgrimages, dances and fireworks. The most special pilgrimage happens aboard skiffs towards the white stone, in order to be blessed and ask for a good fishing season. 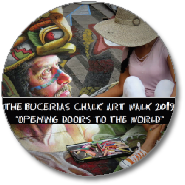 Businesses and Restaurants, will be setting up “curb side” on Lazaro Cardenas and at the same time, artists from around the world, will be there to render their chalk paintings directly on the street. 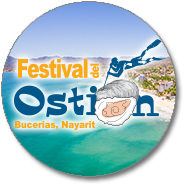 The Bucerias Street Festival is 3 events: An opportunity for Business to have booths street side to present their services, Restaurants, Chefs and Caterers will be street side selling “Tastes” and there will be a Music and Cultural Street Party. 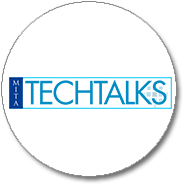 Punta Mita welcomes experts in the latest technologies, gadgets, launchings, innovations and trends in order to address the demands of a new century and its invitation to modernize. 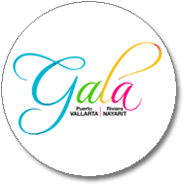 Gala Vallarta is an event that allows international and national wholesalers and operators to meet with hoteliers from Puerto Vallarta and the Riviera Nayarit in order to take part in pre-established business appointments. 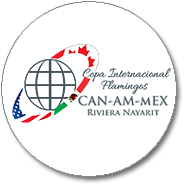 North America is looking for the best golf team in the area, a title that’s being disputed between Mexico, the United States and Canada at the Flamingos Golf Course, the oldest in the region. 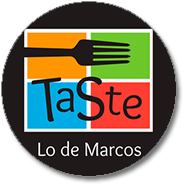 Attendees will enjoy the best of the town’s gastronomy as well as help fund resources for Amigos de Lo de Marcos and the local Citizens’ Action Committee to help promote culture. 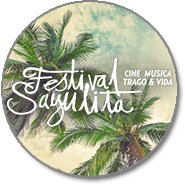 Prepare for three days of great music with local, national and international artists at the Cultural Capital of the Riviera Nayarit. The Plaza del Sol will once again host these top-level shows. New challenge, new location. 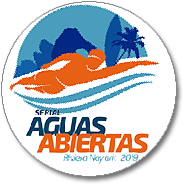 This second edition of this open water tournament in the waves of San Blas is open to all the country’s swimmers for 1k, 3k, and 6k competitions. The 1st. 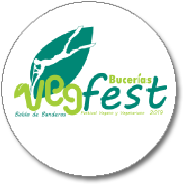 vegan and vegetarian Fest, the event will be held in the main square of Bucerias. There will be more tan 50 entrepreneurs of the region that produce some vegan or vegetarian products. 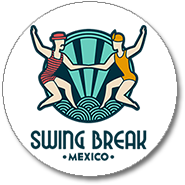 Swing dance teachers and professional international musicians will be on-hand to share their knowledge, their joy and more during this week, which will be filled with dancing and music. 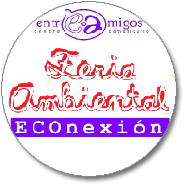 Come and participate in environmental games built with recycled materials, there will be a parade from Entreamigos to Plaza del Sol where there will be games, live workshops, local products, food and drink. 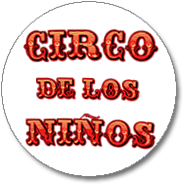 In addition, we will have as a special guest: Pata de Perro clown´s show. Fun and learning combined to raise awareness about caring for the environment and a better quality of life for all. Visitors enjoy drinks in perfect harmony with the regional gastronomy and will take “home” the experience of having tasted handcrafted products, while enjoying the Nuevo Vallarta Marina scenery in the Riviera Nayarit. 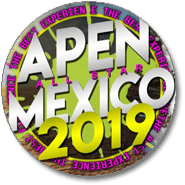 The 2019 National APEN All Star Mexico Competition is back for its seventh year in the Riviera Nayarit. Approximately 20 teams from different states around the nation will show off their talent in categories including Choreography or Dance and Acrobatics. 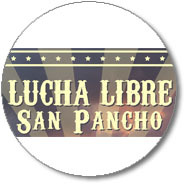 Event organized by the San Pancho Collective, will be a Multidisciplinary Event, Circus Arts, Music and Wrestling. 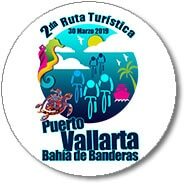 Cycling route of 100 K, 75K and 20K, recreational route celebrated between the municipalities of Puerto Vallarta and Bahía de Banderas. 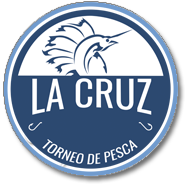 One of the most intense competitions in the Destination takes place in La Cruz de Huanacaxtle. It’s quite the show to see the swimmers break the line and race to be the first to reach the finish..
There’s no excuse for staying home this Easter Week! 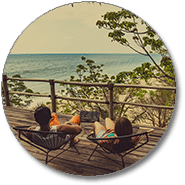 The Riviera Nayarit wants your vacation stay to be unforgettable. 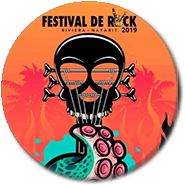 Fans of Spanish rock have a date next April 19, 2019, at the 2nd Riviera Nayarit Rock Festival. 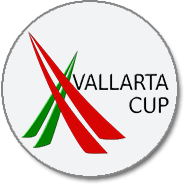 The concert will take place at Explanada Mezcales with the Mexican band Maldita Vecindad, headlining, accompanied by Inspector, Genitallica and other national bands . 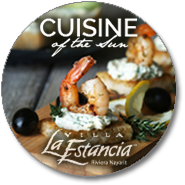 At Villa La Estancia Flamingos, the star-studded event curated for the third time by Food Network celebrity chef and USFOODS culinary specialist, Penny Davidi, Brings together some of the biggest names in the food and wine industry. Including elegant dinners, beachside BBQs, poolside degustations and much more. 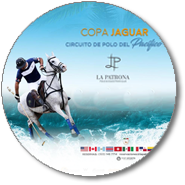 Experience the best of this “Sport of Kings” during the Polo Challenge, slated for April 25th through 28th at La Patrona Polo & Equestrian Club with the participation of two teams (including women) playing an exciting challenge to the best of 3 games. 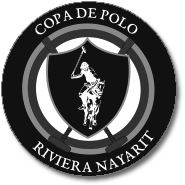 Polo matches Thursday and Saturday 5:00 p.m. and Sunday 12:00 noon. 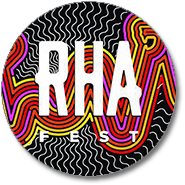 Lovers of electronic music—particularly the house style—will surely enjoy this festival in La Cruz de Huanacaxtle, which presents a stellar lineup with over a dozen additional Djs. One of Bucerías’ most iconic events is the yearly Oyster Festival, which celebrates local divers with a popular feast that showcases the sense of community shared by the locals. They elect a festival queen, search for the largest oyster and offer visitors a delicious selection of dishes. 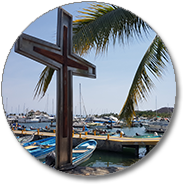 This religious tradition welcomes all the people of the towns in the region of La Cruz de Huanacaxtle to enjoy a lovely festival in the village’s main plaza. 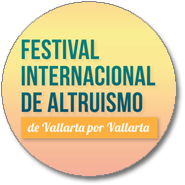 This festival has been around for many years, looking to help different associations that provide aid to the people of the Riviera Nayarit and Puerto Vallarta. This time around it will be held at the Marriott hotel with music and food in an environment of solidarity. 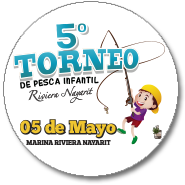 Once again the Riviera Nayarit CVB celebrates children with a recreational sports event, where they can learn fishing techniques in a family environment at the Marina Riviera Nayarit in La Cruz de Huanacaxtle. 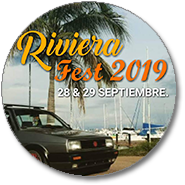 This is without a doubt one of the destination’s anchor festivals and it’s among the top 10 best of the year thanks to its wow factor, the amount of participants and, above all, the perfect conditions for kitesurfing in Riviera Nayarit. 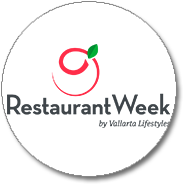 This restaurant festival takes place for two weeks in the Riviera Nayarit and Puerto Vallarta, where culinary outlets will offer three-course prix fixe menus. It’s a fantastic opportunity to try out new eateries. 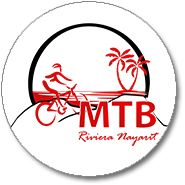 Mountain bike lovers rejoice: this is your perfect event, which combines the beach at Litibú with the mountain at Higuera Blanca for an amazing event. Cyclists 18 years and older are welcome to ride till the wheels come off! The Riviera Nayarit is a privileged location for sport fishing and events like this are proof positive; the tournament seeks to boost eco-conscious surf fishing. 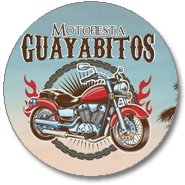 This event was born of the desire to give motorcycle enthusiasts a place where they can show off their spectacular machines to the general public and enjoy time together. 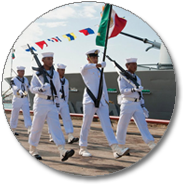 A grand military parade will take over the historic Puerto de San Blas, Rincón de Guayabitos and La Cruz de Huanacaxtle by land and by sea, in order to commemorate the armed forces that protect and serve the Mexican nation. One of the Riviera Nayarit’s signature events, the San Blas International Sport Fishing Tournament celebrates its 58th year of adrenaline-pumping moments for lovers of deep-sea fishing. 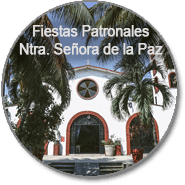 This patron saint feast commemorating saints Peter and Paul includes one of the most iconic traditional ceremonies on the Isla de Mexcaltitán, the birthplace of Mexican heritage: a pilgrimage that emulates the Mexicas, or Aztecs, who left Aztlán to establish the great city of Tenochtitlán. Sayulita will host this youngsters’ surfing league, which encourages new talent in a sport that has produced big names on a national level. 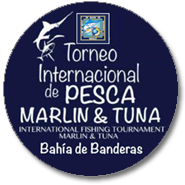 Organized by the Bahía de Banderas Fishing Club, this traditional event that focuses on catching marlin and tuna returns to the waters off of the Riviera Nayarit with a slew of national and international participants. 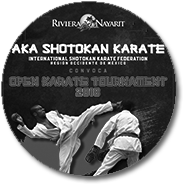 Karate Shotokan Championship, organized by the Shotokan International Federation, Mexico’s Occidental Region. Categories: Children, Youth and Adults, Modality: Kata and Kumite Individual. 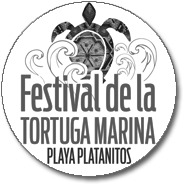 This festival, held in the community of Platanitos, serves up activities aimed at protecting the environment and the conservation of the sea turtles. This fun family summer event mixes sports, gastronomy and luxury in Mexico’s most exclusive residential community. 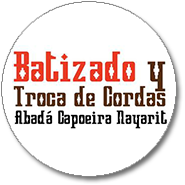 A visit to Jala and Xalisco this August can be a great way to experience the Riviera Nayarit and its traditions. Located just a short distance from the coast of Nayarit, the communities of Jala and Xalisco plan all sorts of events including dances, entertainment, horse races and cockfights. 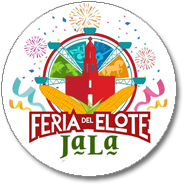 The festivities originated with the celebration of Our Lady of the Assumption and in Jala the biggest ear of corn wins a prize. 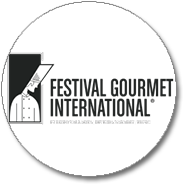 Culinary Event with the presence of renowned chefs at an international level; Gilles Epie, Rob Gentile, Elizabeth Falkner among other international chefs. 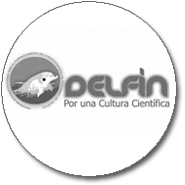 The National Convention for Scientific and Technological Research of the Pacific is derived from the Inter-Institutional Program to Strengthen Research and the Pacific Graduate Program, and is also known as the Delfin Program. 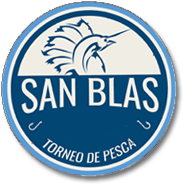 It will be San Blas’ turn to receive this traveling tournament, which visits the different seaside villages along the coast of Nayarit in an effort to discover new talent in this extreme sport. 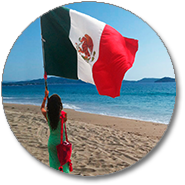 The celebration of the Independence Day Festivities is one of our most treasured traditions, and the Riviera Nayarit makes the Grito, or yell, a very special occasion. The festivities begin on the evening of the 15th with the Grito de Independencia, a ceremony that’s replicated in nearly every plaza in nearly every coastal town, along with fireworks and fairs. The celebration continues on the 16th with a military and sports parade to commemorate another year of Mexico’s Independence. 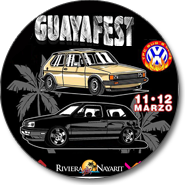 Exhibition of VW cars organized by the ANCVM (National Association of Volkswagen Clubs of Mexico). 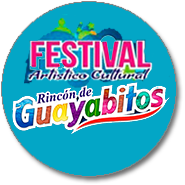 Fairs, dances and jamborees with a special twist are a specialty of the Riviera Nayarit’s Cultural Capital. 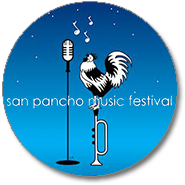 These festivities honor San Francisco, also known as San Pancho, and are a very Mexican tradition. This is a gourmet weekend when professionals and lovers of gastronomy can come together to enjoy different events in Puerto Vallarta and the Riviera Nayarit. 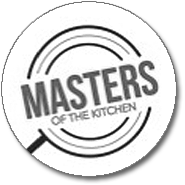 There will be workshops, pairings, tastings, dinners and special events for academia, culinary professionals and the most demanding foodies. San Pancho will host this youngsters’ surfing league, which encourages new talent in a sport that has produced big names on a national level. The top tournament in the Mexican Pacific returns to the Riviera Nayarit, a destination that offers all the best attractions for lovers of sport fishing. 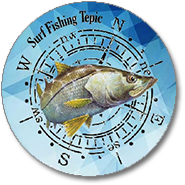 Fishermen interested in participating in the competition can visit the official webpage for the Tepic Sport Fishing Club . The festivities in honor of Christ the King are very special, particularly in the community of Ixtlán del Río, Nayarit. They’re celebrated on the last Sunday in October, though a novena is held beforehand with the participation of the surrounding neighborhoods, which compete to have the best pilgrimage and float. The celebration is open to the entire family where peace and harmony reign. This itinerant completion continues its rounds through Nayarit’s coastal towns, hoping to discover the next big thing in surfing. 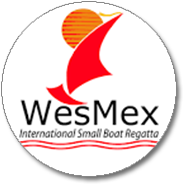 The next competition will be in San Pancho. Competitors must be minors between the ages of 4 and 12. Pedestrian race with different categories, among them youths, masters and open, divided into men’s and women’s divisions. 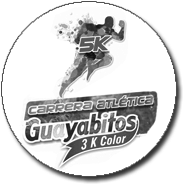 The race is celebrated through the main avenues of Rincon de Guayabitos and Los Ayala. 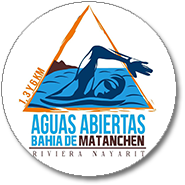 Considered one of the top open water competitions in Mexico, this national series will see swimmers from 10 different states around the nation compete in the “Mexican Pacific’s largest pool,” including Nayarit, Sinaloa, Jalisco, Puebla, Michoacán, San Luis Potosí, Nuevo León, Colima, Guanajuato and the Estado de México. Even though it’s not one of the most deeply rooted traditions in the region, the local cemeteries fill up with colorful flower arrangements in remembrance of the dearly departed. 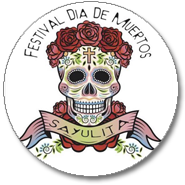 In Sayulita Pueblo Mágico there are altars, pilgrimages, mass, and a procession to the cemetery. Fishing aficionados have a date at the Punta Raza Beach Club, the El Monteón access to the sea, so they can participate in this family tournament that includes the region’s professionals and amateurs. 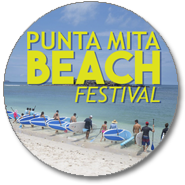 The Punta de Mita Foundation is extending an invitation to its charity events that help the community. The game format is the Foursome A GoGo. 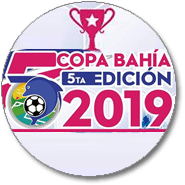 The organizations that will benefit are Peace Punta de Mita, the Punta de Mita Foundation and the Community Project for a center that will become the meeting place for cultural and personal enrichment in the northern area of Bahia de Banderas. 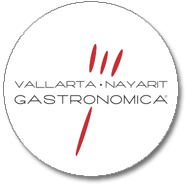 This festival celebrates 24 years of positioning Puerto Vallarta, Riviera Nayarit and Tepic at the top of the international culinary world. 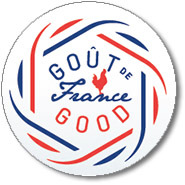 It will include the participation of internationally renowned chefs in charge of bringing in new ideas to the table. 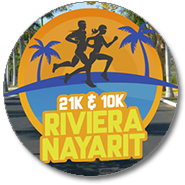 The Riviera Nayarit is happy to welcome all runners and their families to participate in the 10th Riviera Nayarit 21K and 10K that takes place every year in Nuevo Vallarta. 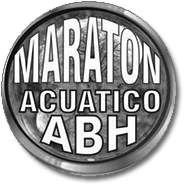 The competition is endorsed by the Mexican Federation of Athletic Associations, and approved by the International Association of Marathons and Races (AIMS). 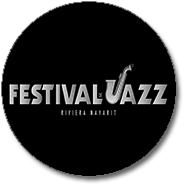 Come enjoy the Riviera Nayarit Jazz Festival with the most important jazz singers around the world. An event that brings together some of the favorite local chefs, restaurants, tequila makers, wineries, guest DJs and mixers to show off their current and new proposals for the next season. 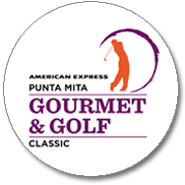 There will be culinary delights from the Four Seasons Resort Punta Mita, the St Regis Punta Mita Resort, Sí Señor, Tuna Blanca, Si Sushi, Blue Shrimp, Margarita, Spicemarket, Sufi, Punta Mercedes, Boca Deli, and more. 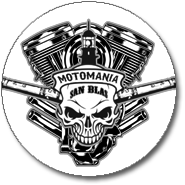 The VI San Blas Motomanía 2018 is one of the destination’s anchor events with the participation of over three thousand bikers from 15 states in the Republic. 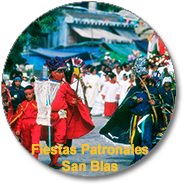 The esplanade of the iconic port of San Blas is the main gathering place for the activities, which include contests, live music and exhibits. 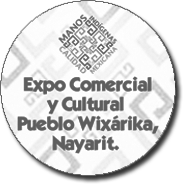 San Pancho will hosting this event with the participation of 25 Wixarika groups, who will offer their extraordinary cultural riches with hands-on workshops for embroidery, beadwork, painting and more, as well as the Indigenous Paradise and Culinary pavilions, the latter offering a variety of traditional meals from Nayarit. The Traditional Medicine Pavilion is a standout, with the participation of four traditional healers. 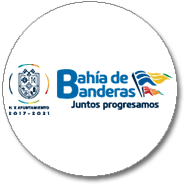 The municipality of Bahia de Banderas, the cradle of the Riviera Nayarit, is celebrating the 28th anniversary of its creation this year. 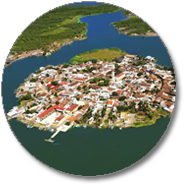 The Nayarit State Congress approved the Decree on December 11, 1989, thus creating the county as jurisdiction 20 in the State of Nayarit. 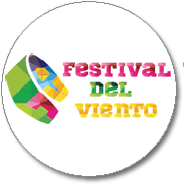 To celebrate the event there will be music shows, and civic and sporting events at the county seat, Valle de Banderas. 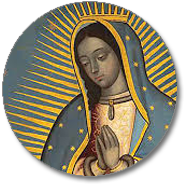 From December 1-12, Sayulita and its environs will be immersed in the passion its citizens feel for the Virgin of Guadalupe. 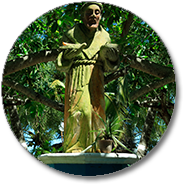 The patron saint feasts in this micro-destination of the Riviera Nayarit are very popular and begin with the novena—nine days of pilgrimage from the different neighborhoods and areas to the small sanctuary consecrated to the Virgen Morena (Dark-Skinned Virgin), located in the main plaza. 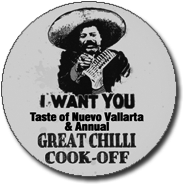 Marina Nuevo Vallarta’s boardwalk (malecón) will host the 6th Taste of Nuevo Vallarta and the 18th Chili Cook-off, organized by the Vallarta Yacht Club. 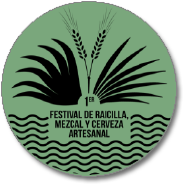 Same as every year there will be superb tasting plates offered by participating restaurants as well as extraordinary chili cooked by professionals and amateurs. Experience the passionate Sport of Kings in Mexico’s Pacific Treasure. The equestrian competition welcomes some of the top international players; there will also be art exhibits, music, fashion and culinary events. 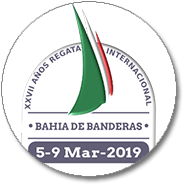 A nautical rally, between 120 and 150 boats will be arriving at the Marina Riviera Nayarit in La Cruz de Huanacaxtle for this impressive show of sails. The aim is for the multicultural content it presents to express the responsibility both humans and the community at large have during this very profound transformation that’s taking place in our times. 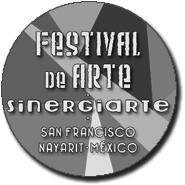 There will be exhibitions and workshops for dance, theater, music, literature, performance, photography, video, multimedia, painting, sculpture, martial arts, sports and other disciplines.